Please join us in Spearfish, SD from July 20-24 to celebrate 35 years of National Impala Association history. We have a week of fun filled activities planned for you that include a nighttime tour to Mt. Rushmore for the evening light show, an “Amazing Race” through the great town of Spearfish, cruise up Spearfish Canyon, Deadwood Main St. Show, and, as always, time to admire the beautiful cars and renew the special friendships that make NIA the great organization that it is. Click here to view/download the full event agenda. To register, please see the instructions on the Registration Form. Hotel rooms can be reserved at the Holiday Inn Spearfish – information for booking is on the Registration form. Call 605-642-4683. Book now before the rooms fill up. 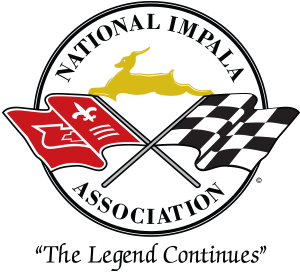 Any questions or additional information – contact Mike Berry at info@nationalimpala.com or call 732-291-7668.